911 Restoration of Jefferson County can get you immediate help handling property damage emergencies throughout Jefferson County. 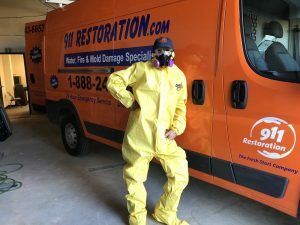 Get same day restoration services, to prevent your home or business from taking on further damage to impact your home or business. The experienced technicians at 911 Restoration of Jefferson County are on call 24/7/365. We are locally owned and operated, allowing our techs to reach homes and businesses in Festus, Imperial, and Arnold within 45 minutes of an emergency call. Get professional help returning your property to perfect condition by contacting 911 Restoration of Jefferson County right away after a flood, fire, or any other disaster. Water damage can be caused by something as simple as a leaking pipe or something as serious as a major pipe burst. Floods and heavy snows can also cause severe damage to properties throughout Imperial, Arnold, and Festus. Water damage can lead to warped floors, ruined drywall, mold growth, and other issues. Let us extract the water from your property, ensure everything is dried out, and offer you the Fresh Start you need. Call 911 Restoration of Jefferson County to get same day help handing any type of water damage. Pipes can freeze in the winter months, as the temperature drops and snow piles up around us. Frozen pipes are more likely to leak and even burst, leaving you with inches of water flooding through your home or business. Flooded basements are a common result of frozen pipes. 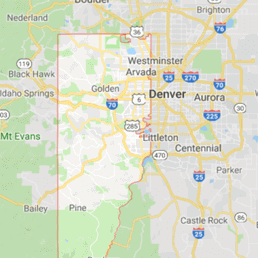 In some cases, property owners do not even realize their basements have flooded for a lengthy period of time, allowing the water to cause extensive damage and giving mold a chance to flourish. 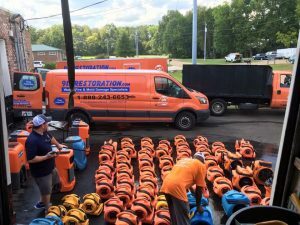 You can get help taking care of water damage caused by frozen pipes and flooded basements as soon as you notice them by calling 911 Restoration of Jefferson County. Our techs can restore your property to better-than-new condition, so call us today. Property owners in Festus, Imperial, and Arnold sometimes discover mold growing in their property after a flood and plumbing disaster. Mold can lead to property damage and some strains of this fungus can cause serious health problems. 911 Restoration of Jefferson County can take care of commercial or residential mold removal for you. You can contact our mold specialists at any time of the day or night to get a free visual mold inspection for property owners only. We are IICRC-certified to handle mold removal quickly, safely, and effectively. Make sure the mold removal process is taken care of properly by calling professionals who won’t rest until the job is done right. Sewage can back up into homes and businesses around Imperial, Arnold, and Festus due to plumbing clogs and high water levels after storms. Sewage is a dangerous substance that you should not try to clean up on your own. You can get the help you need to remove sewage from your property by calling 911 Restoration of Jefferson County. Our professional sewage backup and cleanup technicians can stop additional sewage from entering your property. The techs will also clean up the sewage already in your home or business. Let us remove any odors and contaminants associated with a sewage spill with professional-grade disinfectants. Call 911 Restoration of Jefferson County to ensure your property is returned to perfect condition after a sewage spill. Water is responsible for many types of property damage, but fire can also cause massive amounts of destruction. You need to get help from experienced fire damage restoration techs if your home or business is involved in a fire. 911 Restoration of Jefferson County has years of experience handling all aspects of the fire damage restoration process. You can contact us right now to get a free fire damage assessment and a free insurance consultation. Fire damage restoration does not have to be a stressful process for property owners throughout Arnold, Festus, and Imperial. The techs at 911 Restoration of Jefferson County are dedicated to restoring your property to perfect condition, helping you handle the insurance company, and making sure you have a Fresh Start through fire damage restoration. No property owner can ever be completely safe from disasters like tornadoes, floods, fires, and severe winter storms. However, all property owners in Jefferson County can get immediate help recovering from the effects of these disasters. Are you worried about your possessions during a major disaster? Call 911 Restoration of Jefferson County to have your possessions packed out and stored safely right away. Are you unsure how to recover from the aftermath of a disaster? 911 Restoration of Jefferson’s disaster restoration techs can evaluate your property for structural damage and provide total restoration services to bring your property back to better-than-new condition. Let us provide you with the restoration services you need by contacting us today.